A Lineage of Astounding Craftsmanship………. Making it his life’s work, Nicholas proudly continues the legacy of his grandfather, Anthony Lerios, who established the family business over 100 years ago in 1913, in his small machine shop on the banks of the Anclote River in Tarpon Springs, Florida. 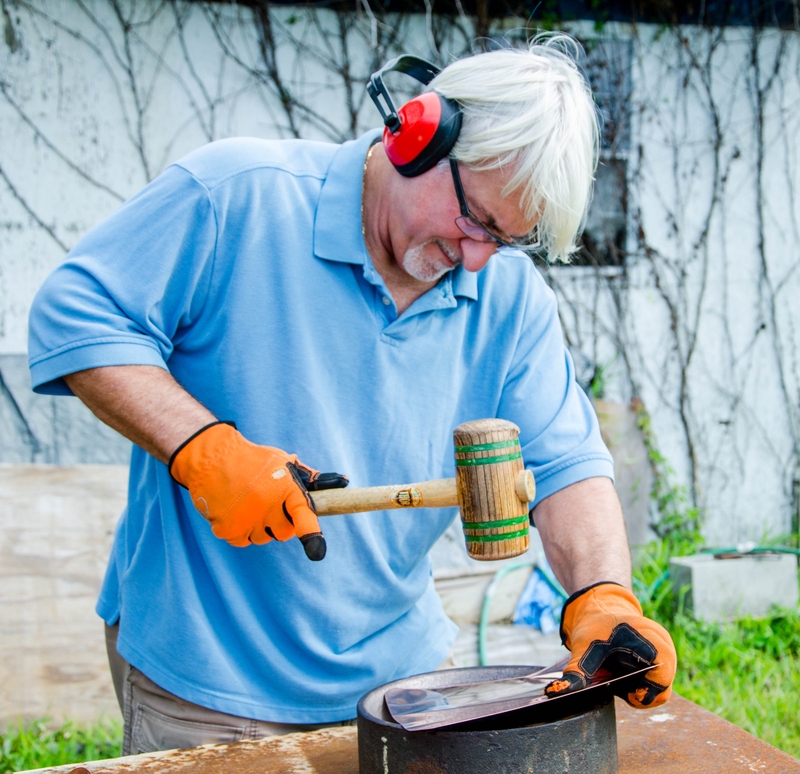 As he creates his incredible works of art, Nicholas uses the same tooling, cast irons mandrels and lathes that his grandfather used, infusing the past with the present, capturing the historical significance of his own talent while combining it with innovative and modern designs. This rich history can be traced back to generations of master craftsman; Nicholas’ grandfather, Anthony Lerios, was born in 1891 on the island of Kalymnos, Greece, but grew up in the great metropolis of Instanbul. It is here that he was educated and received his extensive training in the vast shipyards of the city. The young Anthony was taught by a master craftsman, receiving rigorous training; his teacher in turn was taught by a master, and so on for untold generations. It is through this great lineage of craftsman and artisans that the beauty of Nicholas’ work emerges. The incredible quality and sophisticated elements of each Nicholas Toth cigar ashtray design makes them a desirable addition to any cigar connoisseur’s collection. Every component of his new luxury line of cigar ashtrays is carefully considered. Red brass is chosen over the more common yellow brass because of its’ rich undertones and vibrancy. Each stone is hand-picked by Nicholas, chosen for its’ aesthetic beauty, high quality and unique characteristics and color variations . 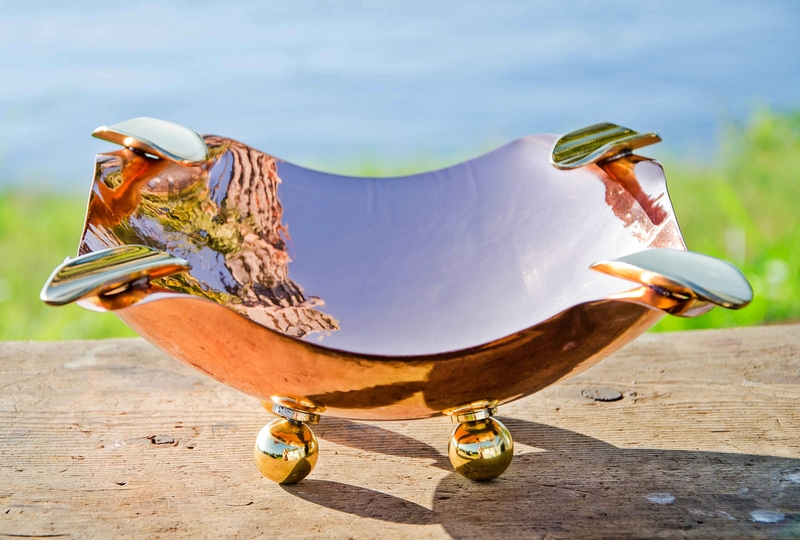 When joined together with the polished copper, brass, stainless steel or chromed brass, it becomes a celebrated work of art! The mesmerizing beauty of the Quantum Ultra begins with large copper sheets, then cut to the appropriate size, hand trimmed and shaped. 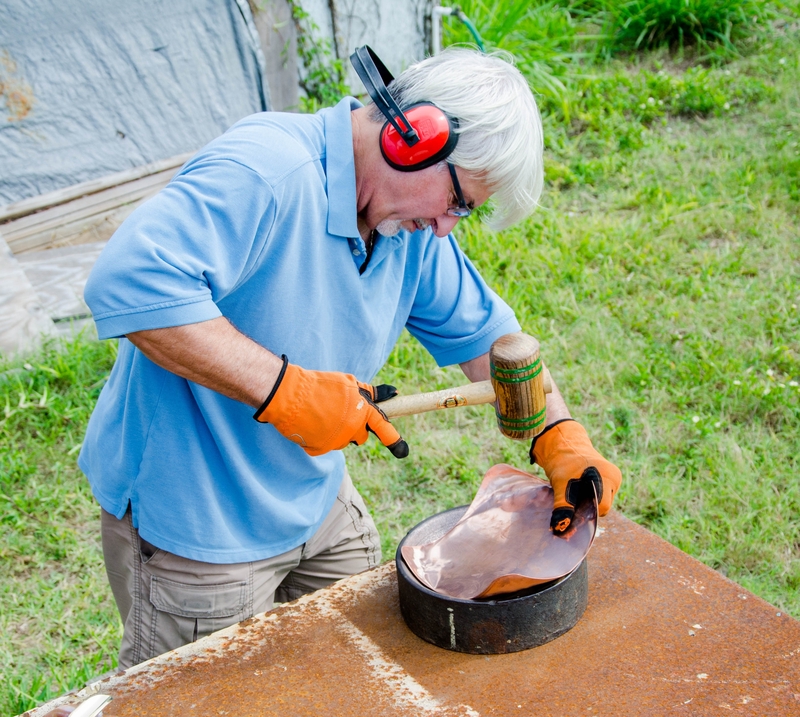 The copper is then hand-hammered into the same 100+ year old cast iron mandrel that was used by Nicholas’ grandfather when he began making copper and brass diving helmets in 1913. The copper edges are curved and curled using a specialized technique developed by Nicholas; the red brass is then cut, shaped, filed and polished, transformed into beautiful cigars holders. With careful precision, each of the four pieces of brass is then soldered into place onto the copper. 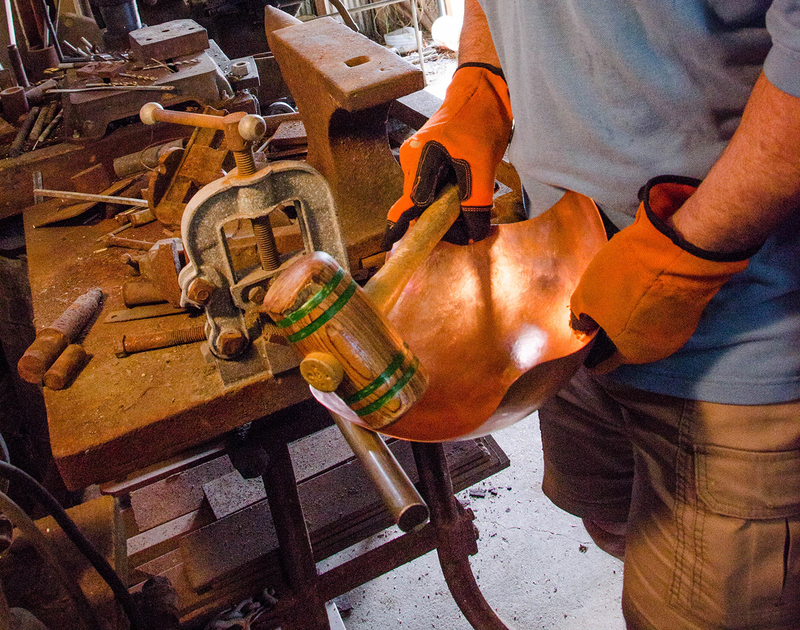 The bottom of the copper is then prepped and the four solid brass legs are attached. Once Nicholas is satisfied that all aspects of his work meet his own high standards of excellence, the final phase begins. 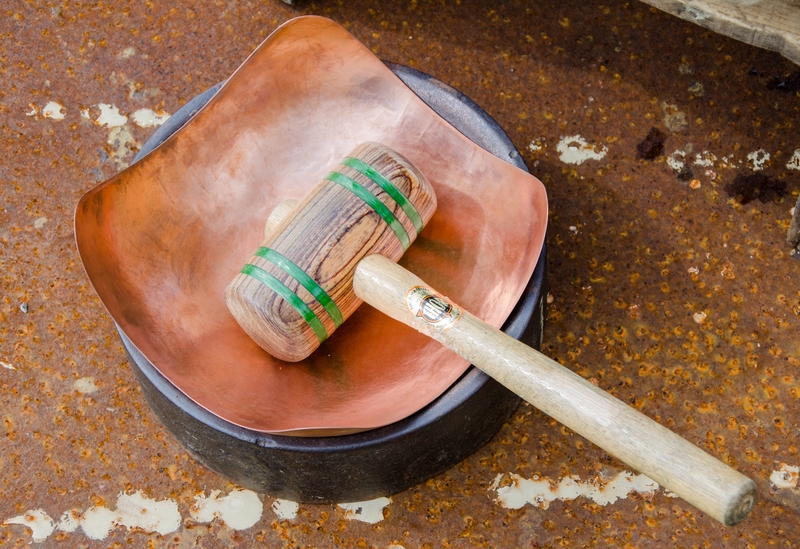 Using specialized techniques, the copper and brass is polished to a magnificent mirror finish. The spellbinding allure of this striking piece is further enhanced with a clear high gloss ceramic finish. 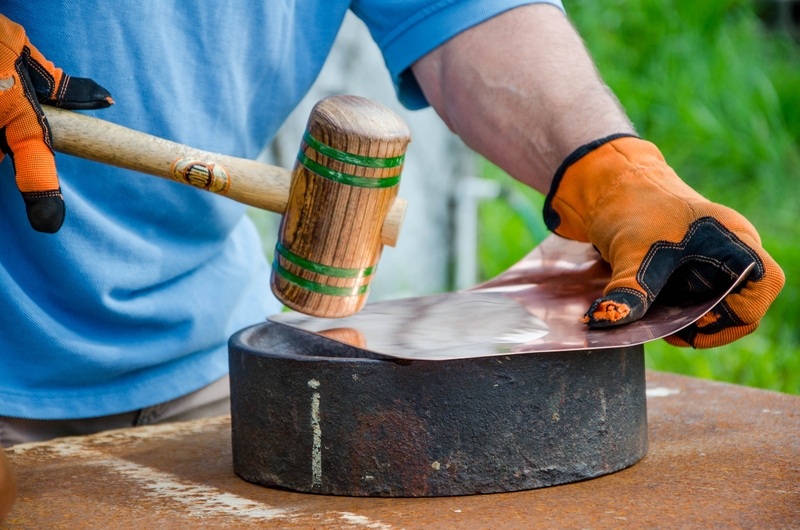 Capturing the radiance of the mirror finish, this coating will keep the copper and brass brilliant and will never require polishing! Distinctive Cigar by Nicholas Toth…………A Passion for Excellence…………….